This once great naval fortress of Peter the Great was one of the greatest fortresses ever built. It consisted of tens of coastal artillery batteries, numerous fortified infantry bunkers, and its own railway. The fortress was spread along the coasts of northern Estonia and southern Finland and was planned and constructed during the first World War. A heroic effort of Russian and Estonian people was taken to seal the “bottleneck” of in Gulf of Finland. During the first hours of the war with Germany, which broke out in July 1914, the Gulf of Finland between Tallinn and Helsinki was stuffed with 5,000 sea mines and artillery was set to sink any German naval ship trying to break through to attack St Petersburg. But the Germans never tried. Already in 1918 when Russia left the battlefield and Germany was taking over the Baltic territories, the retreating Russian army blew up the fortress. Since then, the Fortress has been forgotten. But still, ruins of batteries and pillboxes, bunker and shell storages can be found in fields and forests around Tallinn. Though it’s been nearly a hundred years, they still look mighty and impressive. You have a unique opportunity to discover the discreet places of Estonia. During this special one-day tour you can visit the coastal artillery positions, infantry bunkers, and shell and torpedo tunnel storage facilities. 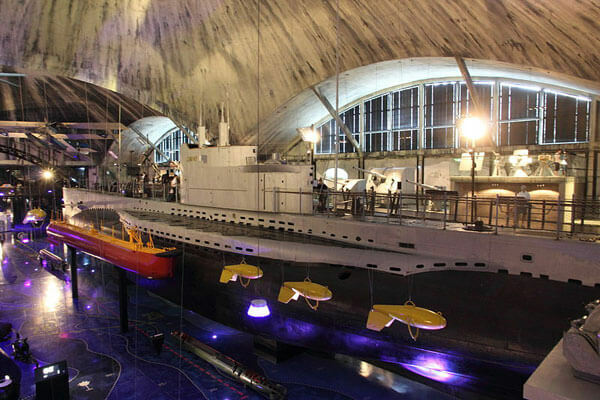 Also, you will visit the Estonian Maritime Museum located in the seaplane hangars which were a part of the Fortress and happen to be the first reinforced concrete dome structures. After a tour in the hangars you will be taken on board a historical sail schooner and have a sailing tour in the Bay of Tallinn. After learning about the fortress from the ground, we will see it from the sea, within firing range of its artillery.